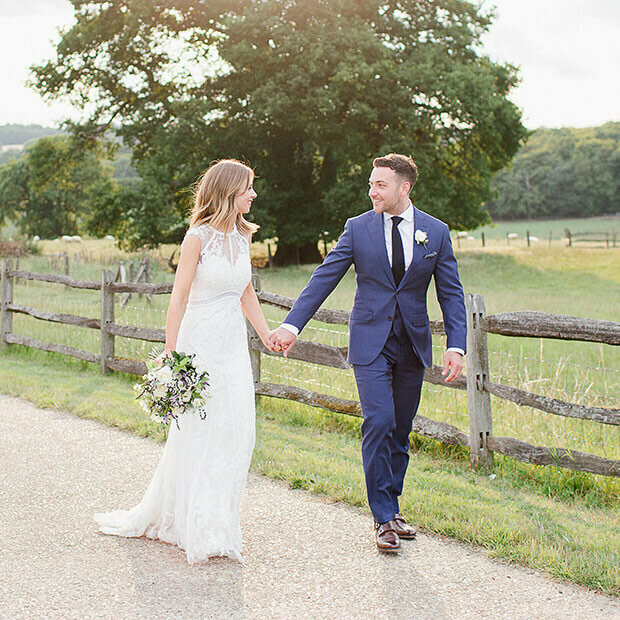 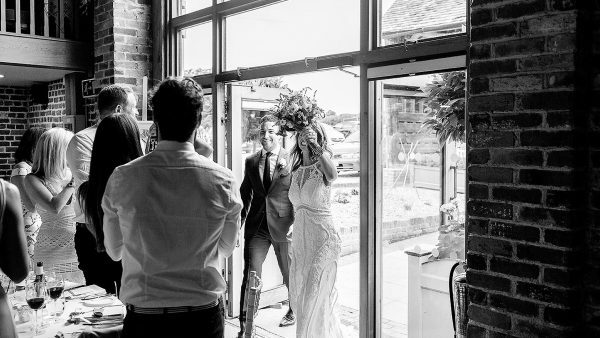 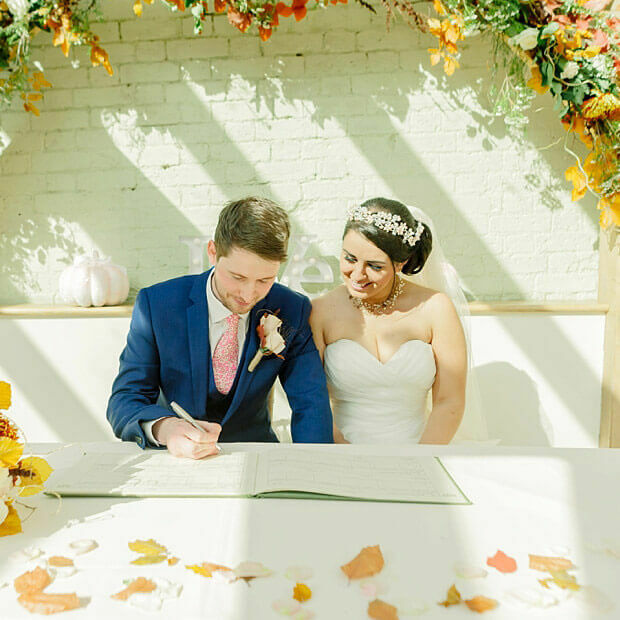 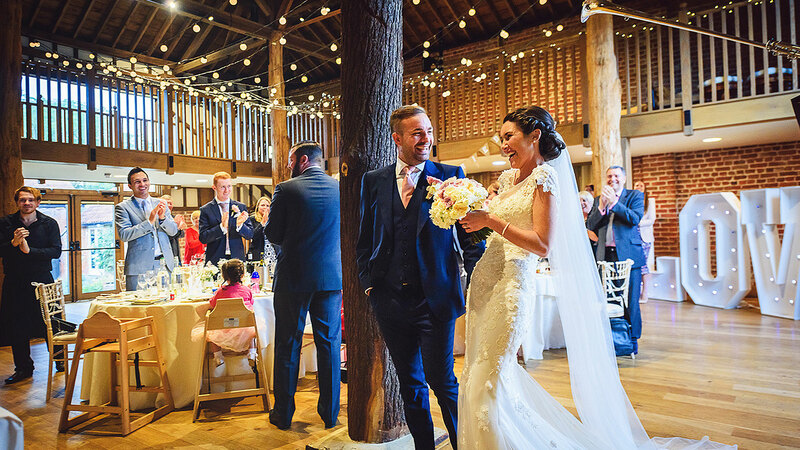 The Listed Mill Barn is licensed for civil wedding ceremonies and civil partnership ceremonies and can comfortably seat from 50 up to 150 guests for dining, so whether you’re planning a large or small wedding in Essex, we can cater for you. 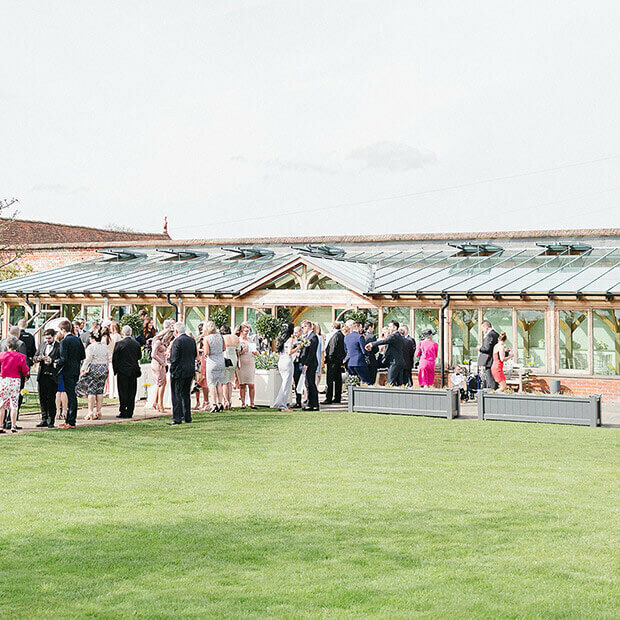 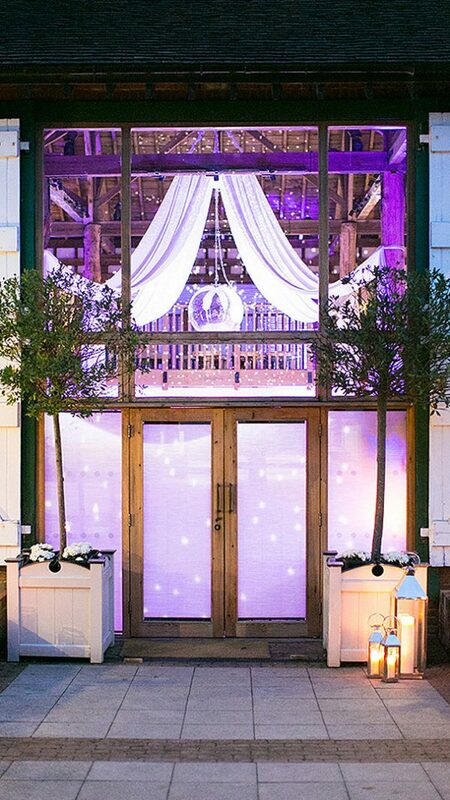 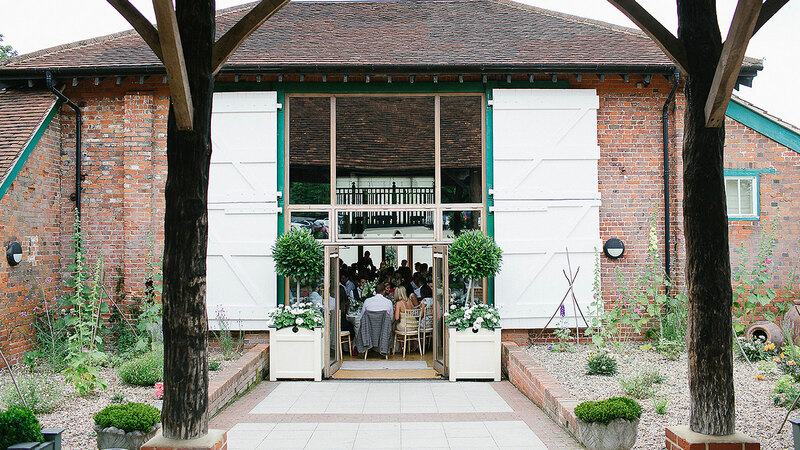 The barn venue is supported by four great tree trunks and has floor to ceiling windows overlooking the pretty courtyard, allowing sunlight to flood in. 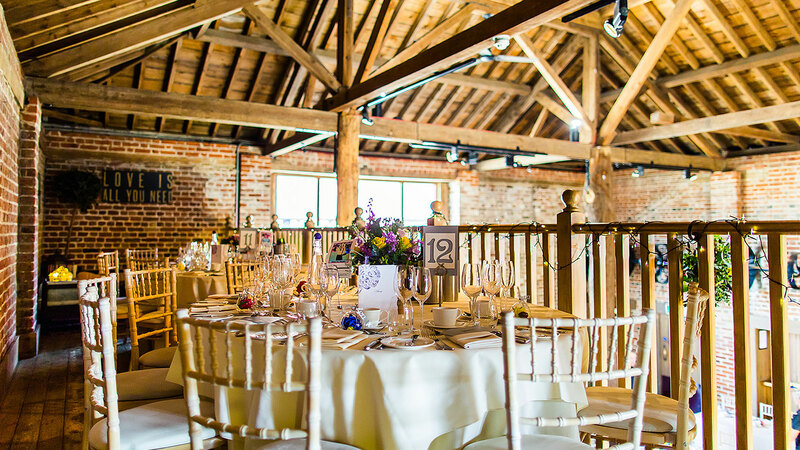 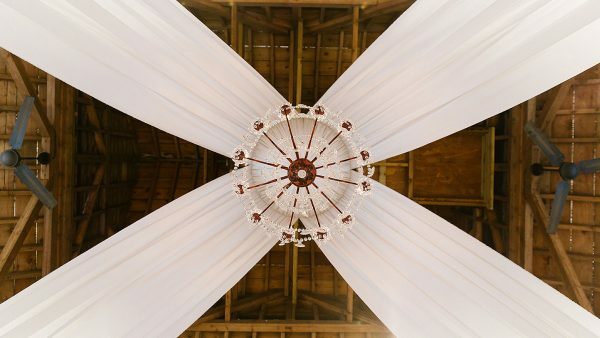 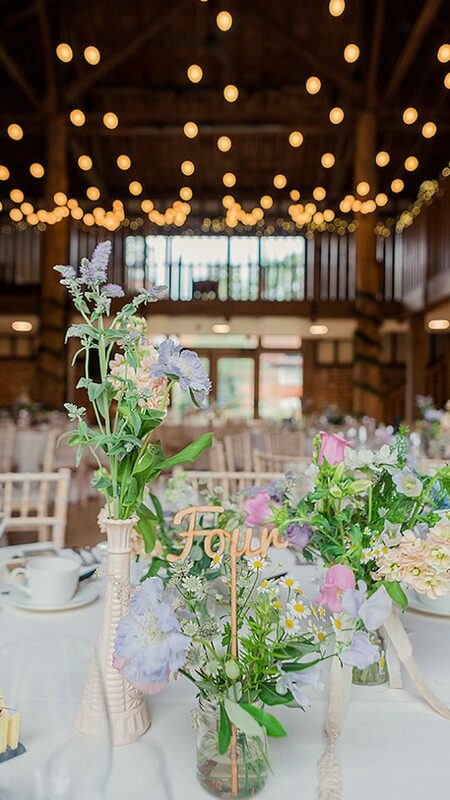 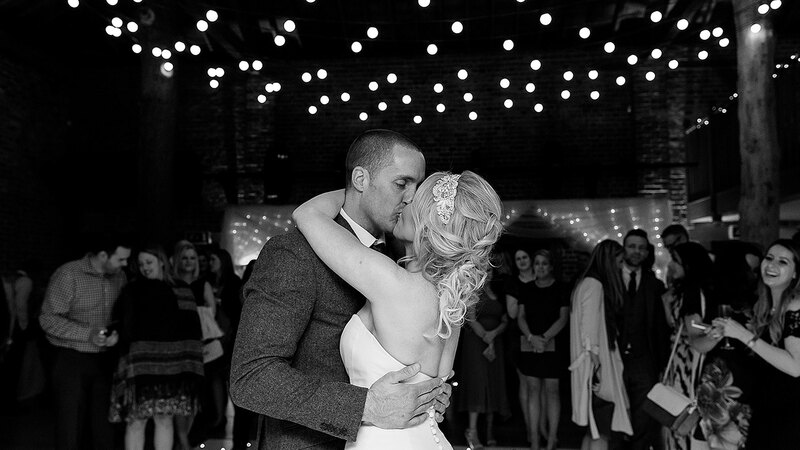 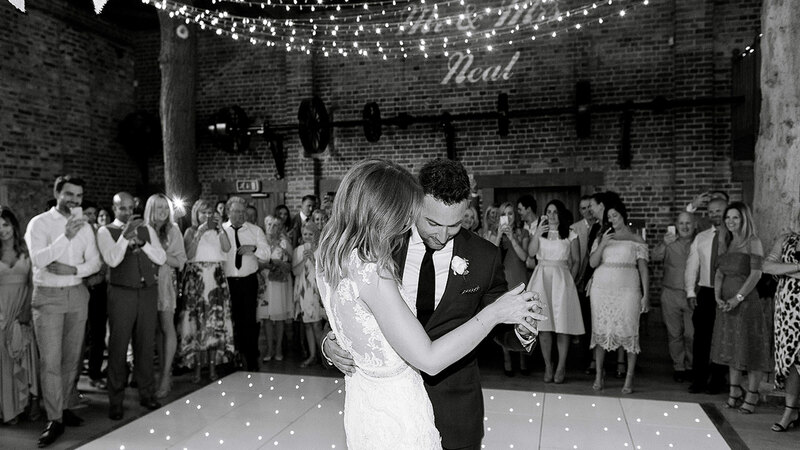 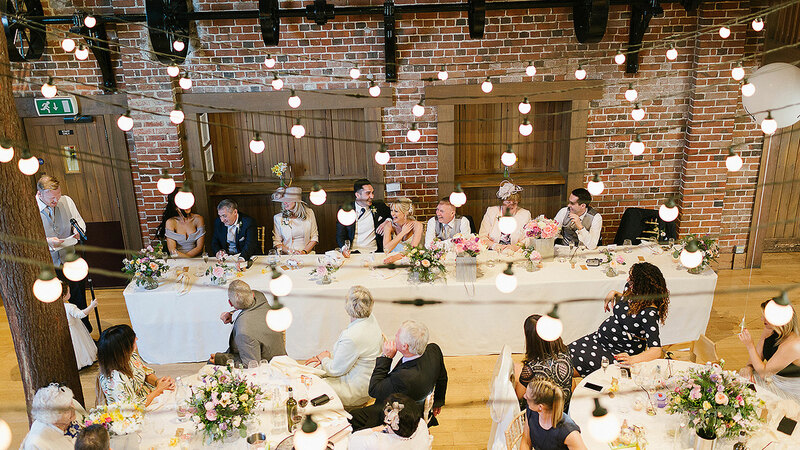 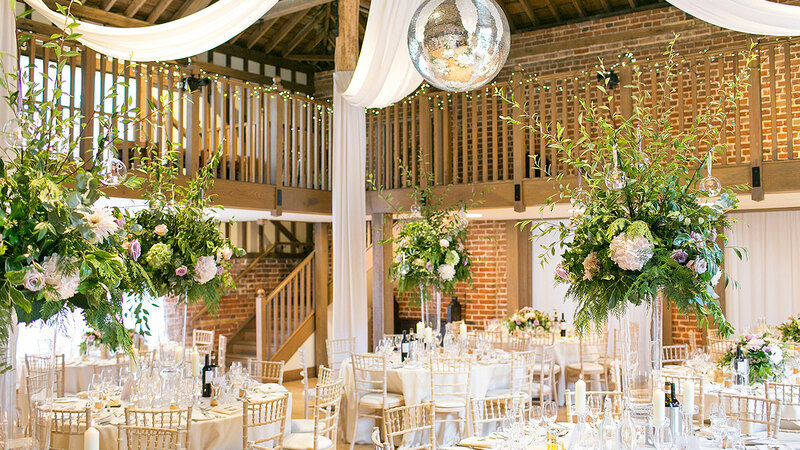 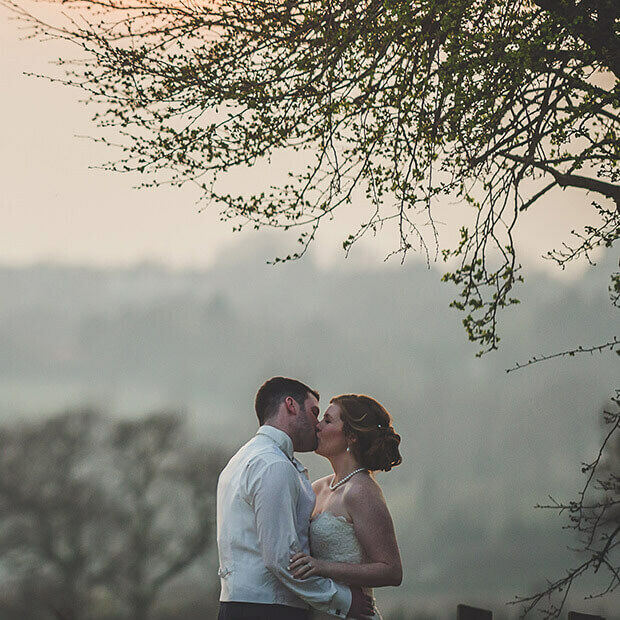 The Mill Barn is an impressive old brick and beamed wedding barn with wooden oak floors throughout. 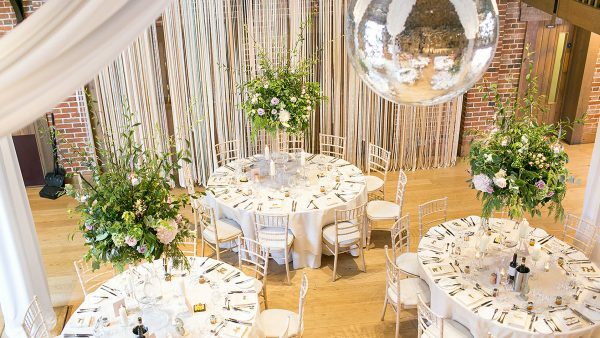 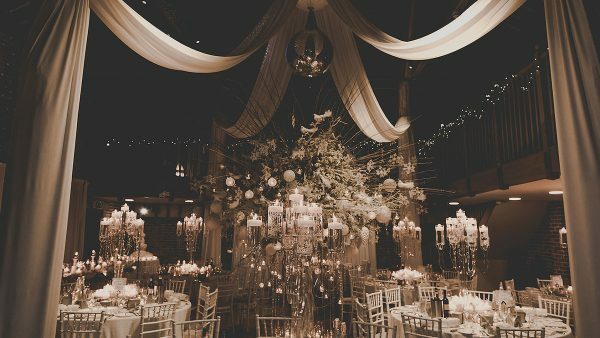 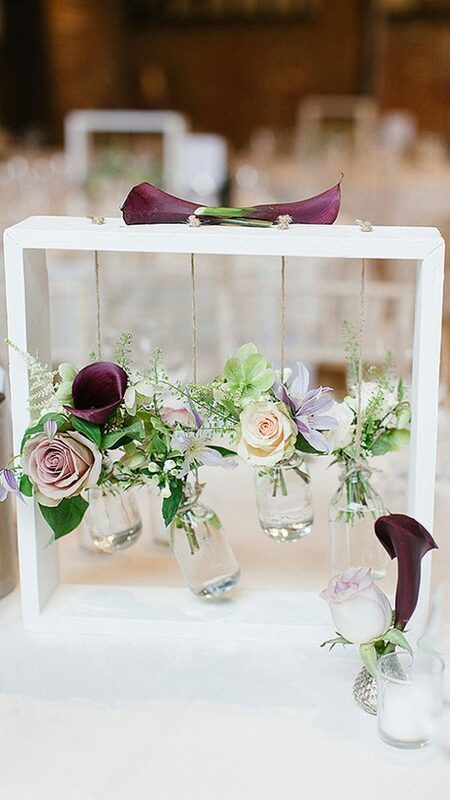 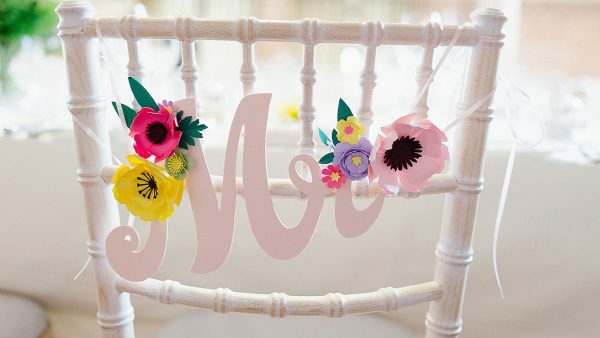 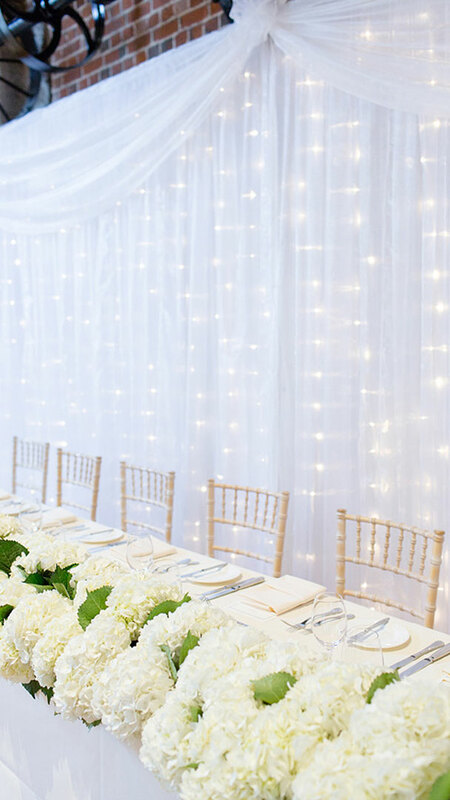 Perfect for your wedding reception, the neutral décor means it is a blank canvas to be decorated using your own wedding theme and colours. 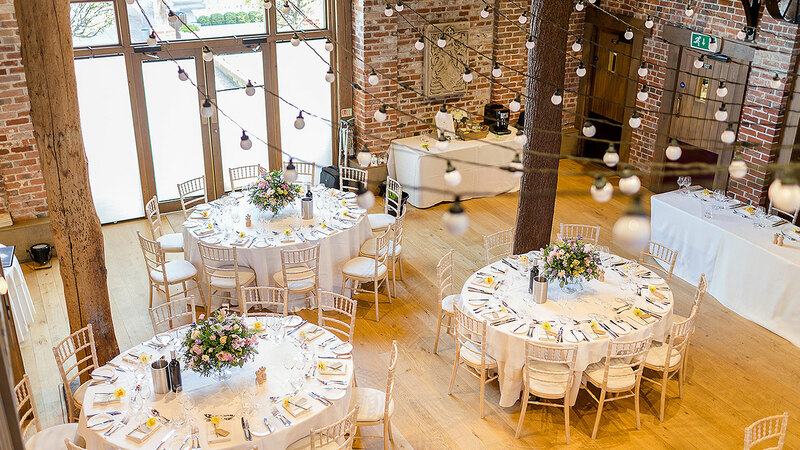 The mezzanine floor and gallery give this exclusive wedding venue an additional spacious aspect that can be used as an extra seating area for the wedding breakfast, a string quartet or a quiet area in the evening with its Raj style furniture and lanterns. 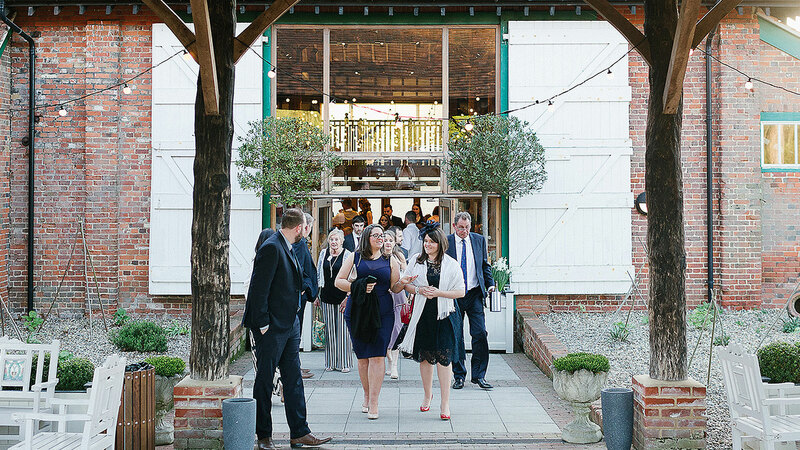 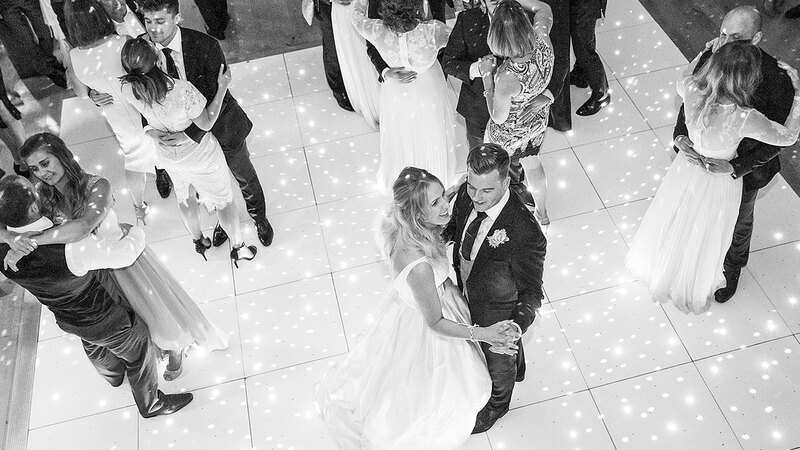 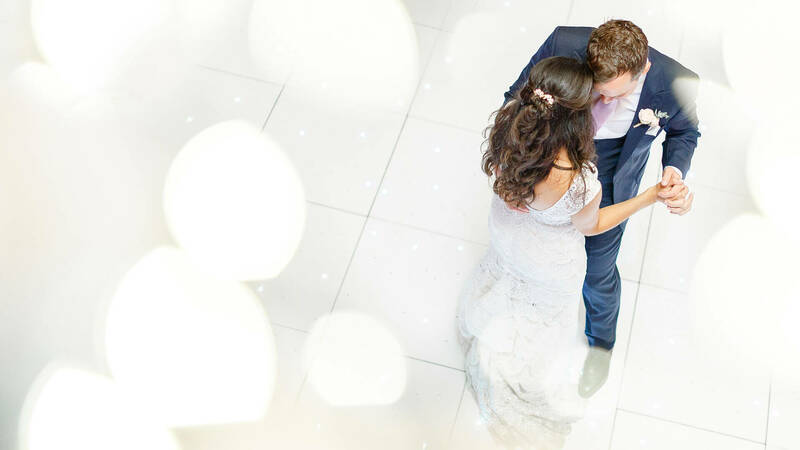 The dance floor is adjacent to the wedding reception area and bar inside The Mill Barn, providing plenty of space for guests to enjoy the evening entertainment. Elderly guests and those not dancing are able to enjoy the spirit of the occasion in comfort without the need to retire to a separate room.